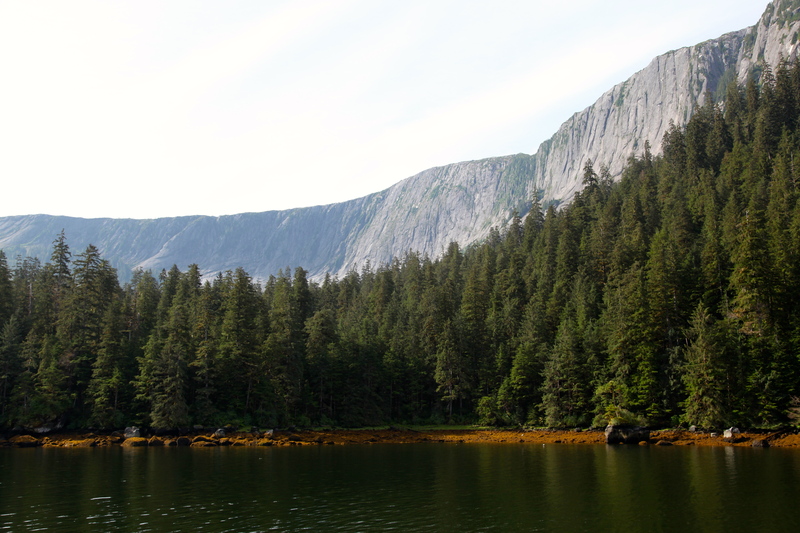 Misty Fjords National Monument | Where is Yvette? First of all, I feel obliged to mention that Misty Fjords National Monument did not live up to its name at all. 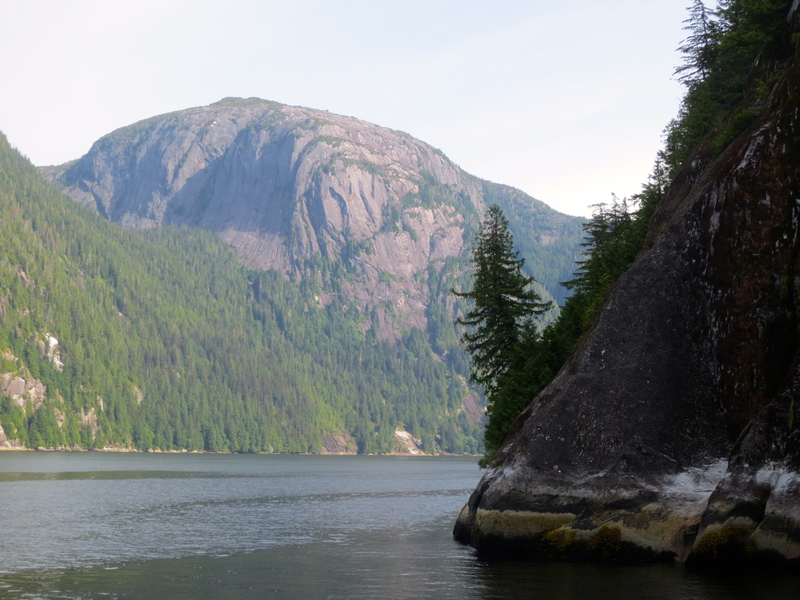 This is because we had spectacular blue sky weather that only happens about 5% of the time in the Ketchikan area, so the fjords were not at all misty but I don’t think anyone was complaining! 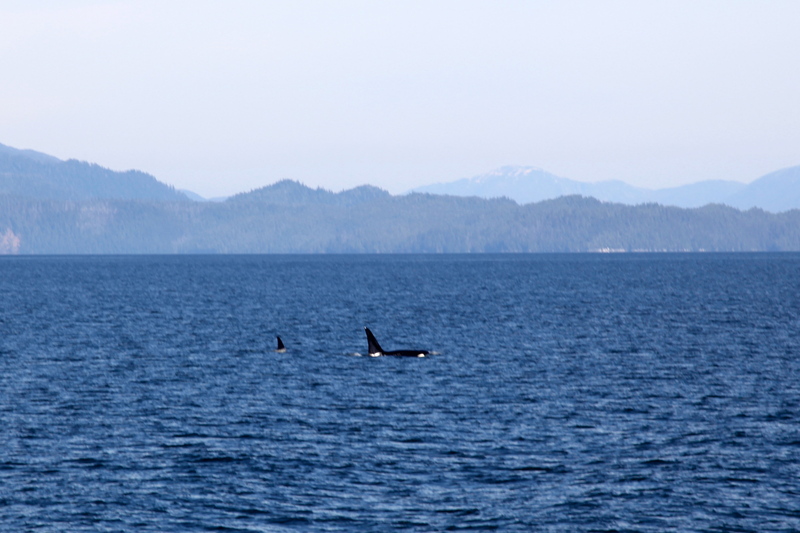 Anyway, the fjords are about an hour’s boat ride outside Ketchikan (or a short float plane ride away- we saw several of them buzzing around) and is quite spectacular. If it was in the “Lower 48” it would be a National Park akin to Yosemite with millions of visitors a year, no question, but here it’s a quiet corner of Alaska with no roads and a handful of visitors a day. Nothing but the mountains, the water vistas, panoramas everywhere you look… just wonderful. 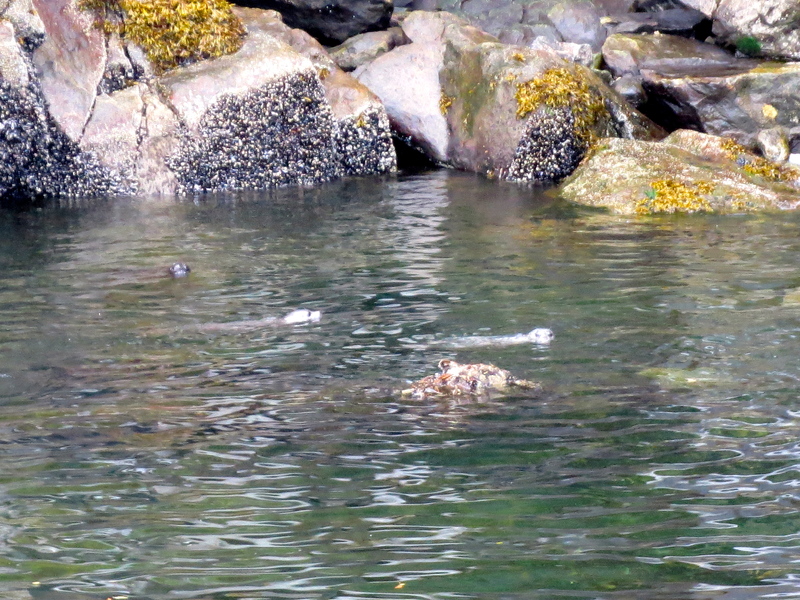 I will say, by the way, that I didn’t expect how rich the marine life is in Alaska until I reached it- you hear about it, sure, but you nonetheless kinda expect there to be nothing in the cold water. Nevertheless about once a day I’ve seen something popping out of the water unexpectedly, from giant whale tails to porpoise heads to a sleek sea lion’s body, and I revert to excited monosyllables every time. (“Ooh! Ooh! Look! There! Look!”) It’s great. Anyway, Misty Fjords was wonderful and a great first few hours in Alaska. Definitely a spot that makes one excited to be here, and to wonder just what the next stop will bring. 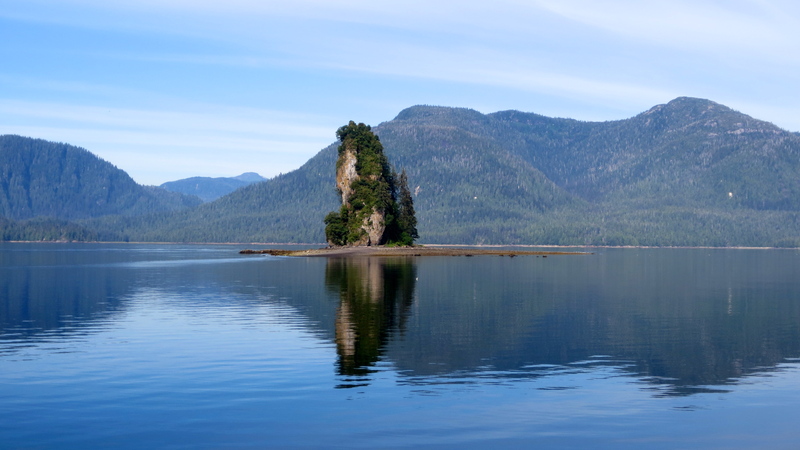 Yvette, I love Ketchikan…so beautiful! How long were you there? 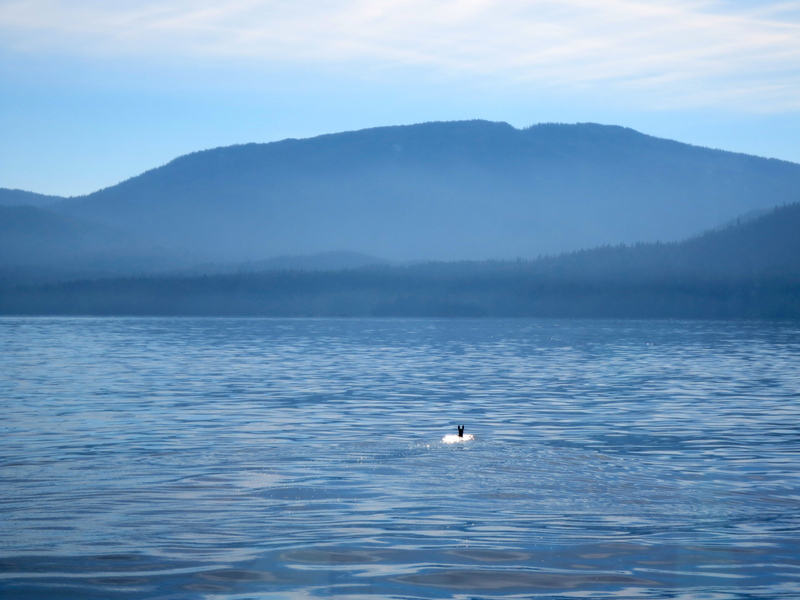 I would have loved to the see the Sitka deer swimming…what a surprise! It was only for the day unfortunately, but we definitely made the most of it. What a great little town- just what I wanted as a first taste of Alaska!